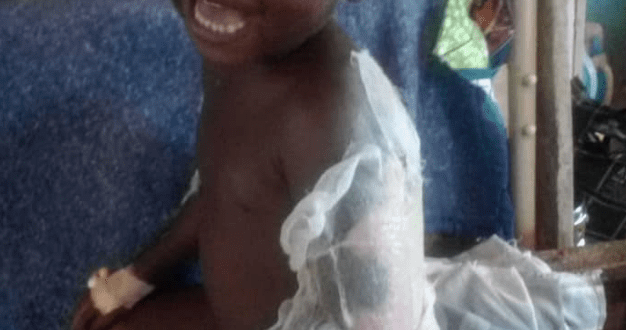 A six-year-old is battling with the horrific injuries he sustained when his stepmother poured hot water on him in Numan, Adamawa State, last week. It was learnt that the unidentified woman had asked the victim to step into a bowl filled with supposedly warm water to have his morning bath but he refused after feeling the water and finding it very hot. The woman then tried to force him into the bowl but the victim fled following which she threw the water on his back. The woman was reportedly arrested immediately after the incident but refused to state the reason for her action.